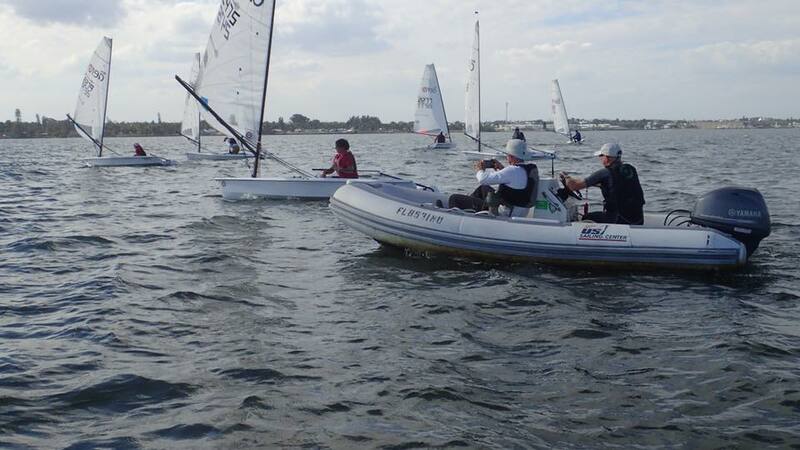 The RS Aero moved onto Leg 3 of its US Winter Mega Tour, with the Florida State Championships (2nd Edition) hosted by the US Sailing Center at Martin County (USSCMC), Jensen Beach. The lead-in day was once again used to unpack/allocate charter boats and then Marc Jacobi (current World Champion in the 9 rig) held a clinic for both new and experienced RS Aero sailors. Marc is excellent at delivering enough information at the right levels that everybody gets something out of it, if you haven't had chance to attend one I recommend you do so. After on the water drills and a video de-brief the newbies and old hands alike were fired-up and ready to go for the weekend's event proper. The forecast for the weekend was for breeze, and it was accurate. Whilst not the near 40 knots experienced the weekend before at the Midwinters, it was still a solid 12-18 knots with gusts in excess of 20 at times. 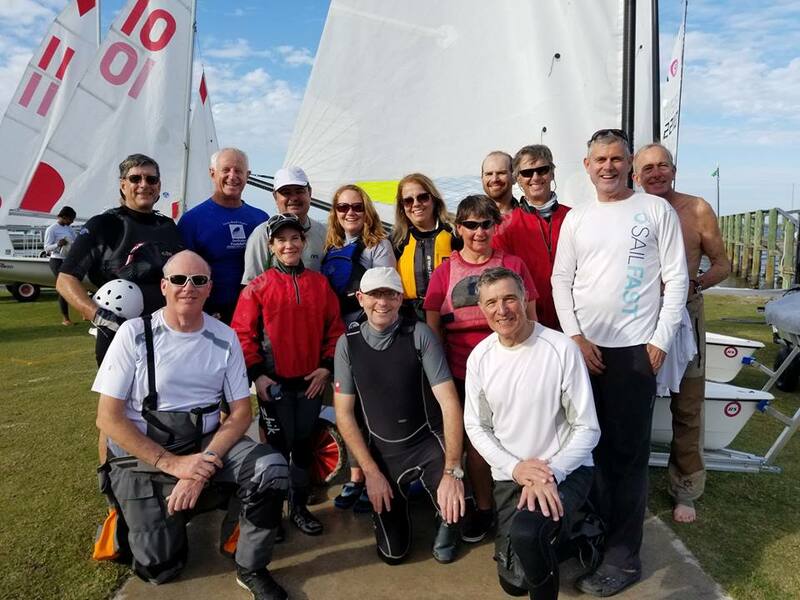 The experienced Race Committee did a great job of getting 8 races off over the weekend, sailed on the wide Indian River under the shelter of Hutchinson Island. The relatively shallow water meant that there were short steep waves to play downwind, especially on Sunday, when the wind veered slightly and allowed for longer legs with slightly less influence from the island. Perfect conditions for the lightweight RS Aero, that cuts perfectly through the chop upwind and loves to be pushed hard offwind and rewards well any extra effort. The RS Aero comes in three rigs sizes: 5, 7 and 9 (square meters). For the weekend's racing the 5s set off first, then followed 6 minutes later by a joint start of the 7s and 9s. The racing in the 5 rig was intense all weekend with a tight battle between Sonya Dean, Julie Willis, Julie Zahneiser, Melissa Solnick and Paul Gingras. Julie Willis representing #TeamLymo, showed that her training in similar conditions, in her home waters in the UK, pay off as she took the title ahead of Paul and Julie Z. We know it is only a matter of when before Julie Z buys a boat and will be even more rapid once she has had chance to put some time in. In the 9 rig fleet, Marc Jacobi dominated with a full-house of bullets to take another regatta win. Keith Willis (#TeamLymo) was second followed by Peter Hansen (USSCMC). The big boys certainly got a workout in the gusty conditions. In the 7 rig fleet, the current North American Champion and all-round legend, Hank Saurage won with a race to spare, but did let his guard slip to let me (Karl Thorne #TeamLymo) through in Race 7 - the only time I've got near him in the last 18 head to heads! I took 2nd overall in the fleet, followed by Tony Corkell in 3rd. What was really encouraging over the weekend was the way newcomers to the boat handled it and enjoyed themselves in sometimes fruity conditions, and despite the inevitable swim when you get in a super-lightweight skiff for the first time. Also the number of ladies on the water over the weekend was fantastic to see, I know they loved how close their racing was. One couple, Sonya and Alex Dean even pulled the trigger and bought a boat to take home with them to North Carolina - welcome to the fleet both, I can feel another boat coming soon as they don't go so well when sailed two-up! The camaraderie and willingness to help each other is definitely one of the stand out features in the Class, of course the fact we are all brought together by an amazing boat helps! A big thank you to the Regatta Team at USSCMC for putting on good quality, fair racing with quick turnarounds and getting us back in time to pack-up and make the Super Bowl kickoff. Also a huge thanks to Marc Jacobi, his efforts and enthusiasm to help everyone in the Class are unlimited and infectious, he puts in a lot of hours and huge miles at quite some personal expense. Finally, thanks to our fellow RS Aero sailors and now friends for making us Brits so welcome, we thoroughly enjoyed your company and will be back for more. 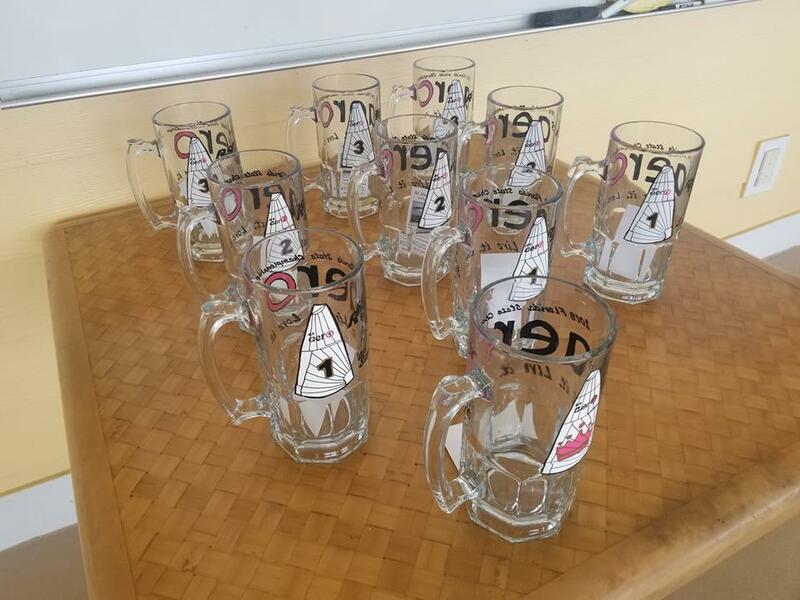 The Mega Tour moves onto Sarasota for the One Design Regatta over the weekend of 16-18 March, charter boats may still be available - contact Marc Jacobi [email protected] to check or find out more about the growing Class and it's racing in North America. 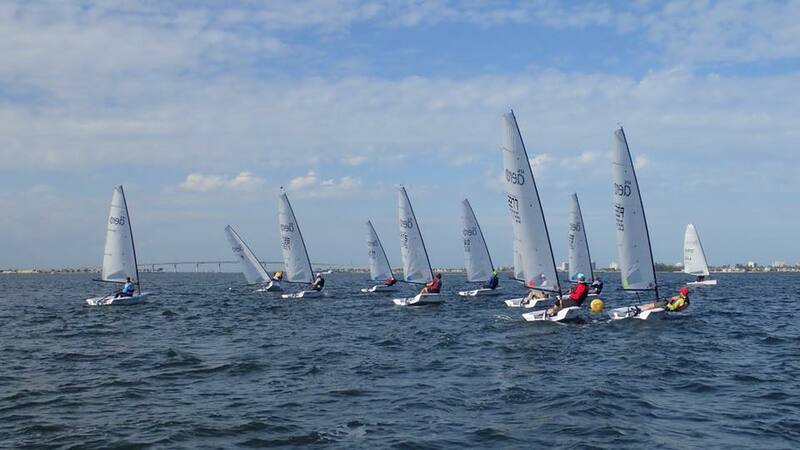 Photos - Check out the US Sailing Center Facebook album by Mike Grant. Video - from the pre-event Friday coaching clinic.